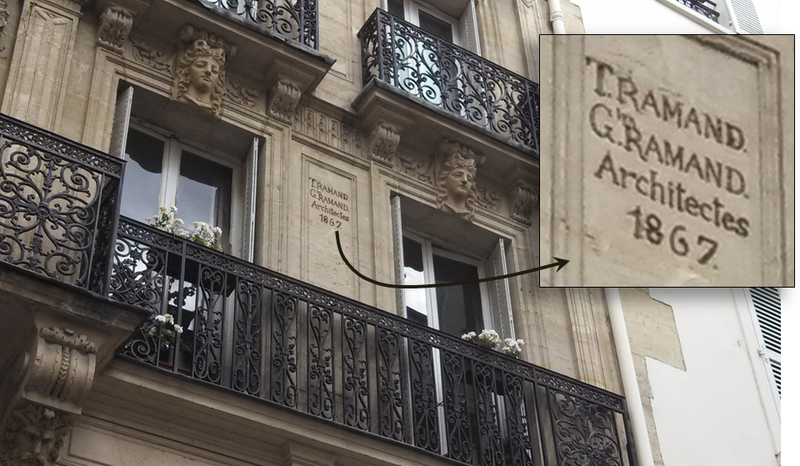 Many buildings in Paris are “signed” and dated by their architects. The signatures usually look approximately like the one shown here – usually in a similarly prominent position on the façade of the building. Not all buildings have them; but many do, particularly the more ornate ones (for example, the building on the right in the photo, the one that is partially covered by the inset, does not).